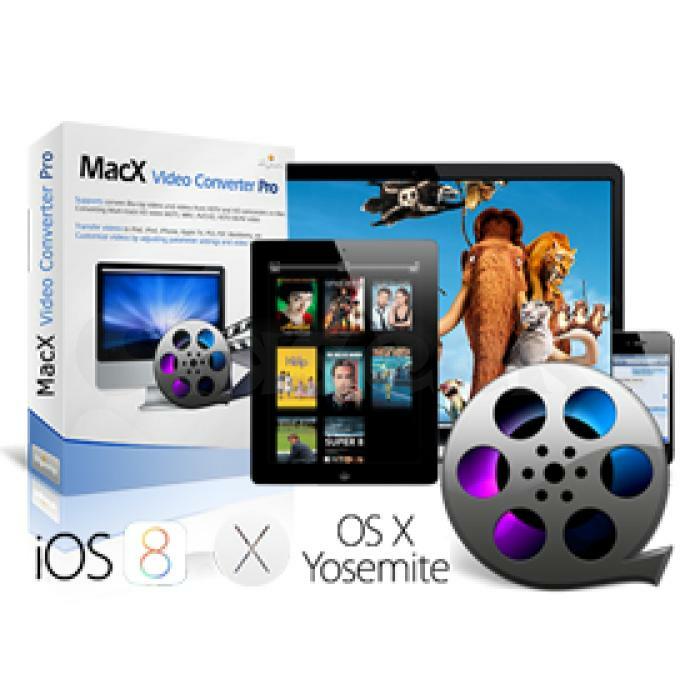 MacX Video Converter Pro - feature-rich, high quality and blazingly fast video converter comes to Mac OS, iPhone, iPad and iTunes. Built in 420+ video/audio codecs and advanced HD video decoding engine, MacX Video Converter Pro brings users an all-in-one video converting solution with top quality, easiness, speed and efficiency. It owns powerful capabilities to convert HD video including MKV, M2TS, AVCHD, H.264/MPEG-4 AVC, and SD video AVI, MPEG, MP4, H.264, MOV, FLV, F4V, RM, RMVB, WebM, Google TV, etc, to Mac/Windows computer, iMovie, iTunes, iPhone 4, iPhone 3GS, iPad, iPod touch 4, iPod classic, iPod nano, Apple TV, PSP, etc. It has unique feature which can download website video from YouTube, Myspace Video, Metacafe etc. This Mac video converter also features the unique ability to convert Multi-track HD videos M2TS, MKV, AVCHD, HDTV BDAV and MPEG-TS video movies, offering users the most convenient way to choose preferred audio language track.